We have never had family stockings for the holidays at our house yet so I decided to make some with a twin sized fleece fitted sheet. I actually thought of this last year and went out and bought the sheets from Target. So really this took a full year of procrastination. I have some time saving shortcuts since I had to make 4 of them. 1)So I folded a the fitted sheet 2 times so that when I traced and cut the pattern I would have to only cut once for each stocking. Any thicker and it would be difficult to cut. It doesn't really matter at this step which way the sheets are folded. I used a horizontal pattern so that cutting and tracing was pretty easy. 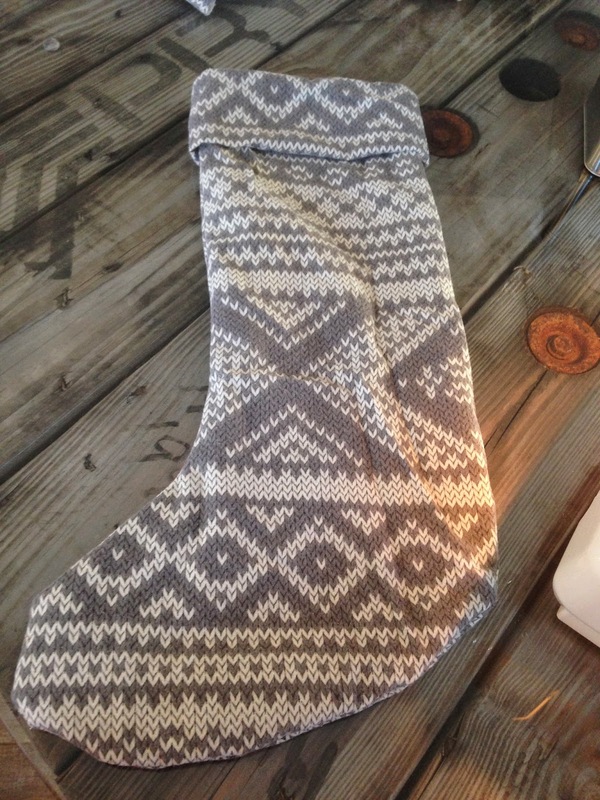 It doesn't really matter if the pattern is laid out perfectly or not since stockings are hung at an angle. I used card board to make the pattern only because that's what my aunt the tailor uses. It measures 22" tall, stocking width is 7.5" wide at the 'calve' and 12" wide at the foot. Lay and trace the pattern four times on the fabric. I got 6 stockings out of my twin fitted sheet. 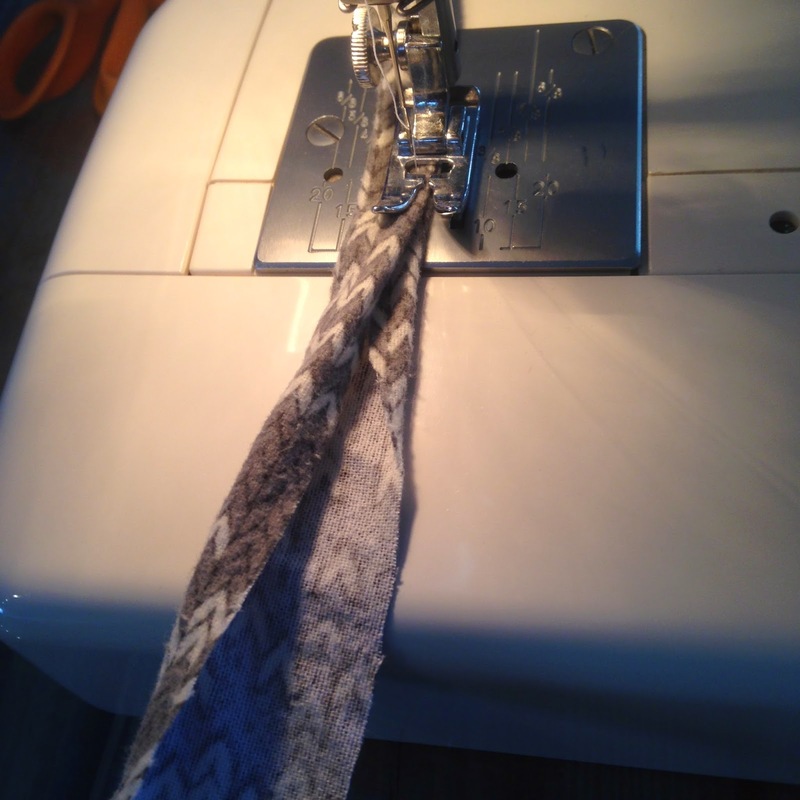 Tip:You can place 3 of the patterns on the fold of the fabric so that the top doesn't have to be sewn together. 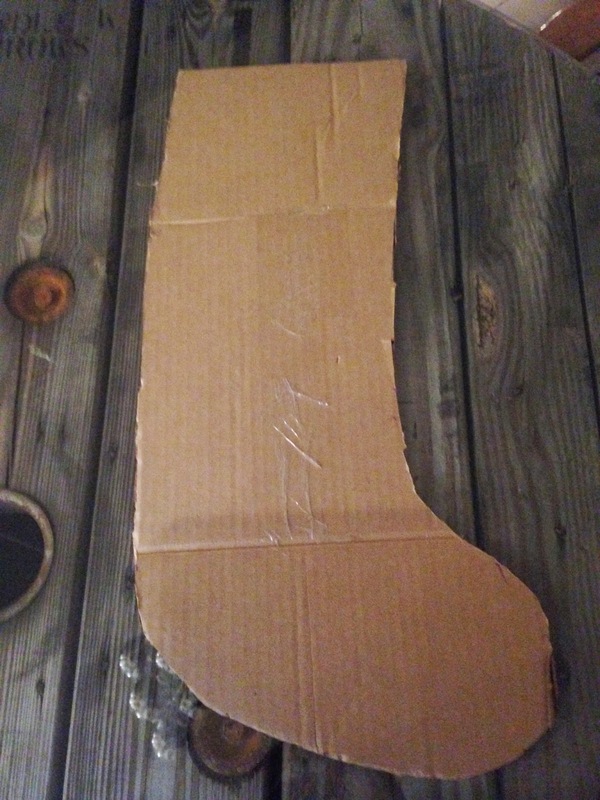 For the fabric that wasn't cut on the corner sew the top of the stocking together like the picture below. 4) Face good side of 2 pieces of fabric together and start sewing about 1cm around the stocking starting at the heel leaving a 4" wide opening so that later you can turn the stocking good side out. 5)On the opposite side of the opening gap, cut notches out of the toes and heel where there is a curve so that when it's turned inside out the fabric lies flat. On the other half of the stocking trim the excess fabric as close to the thread as possible without cutting through. This will be the inside of the stocking. 6) Then proceed reach through the 4" gap that wasn't sewn and pull the stocking good side out. Ironing the fabric if necessary. and sewing up the gap. 8)Fold over the stocking over if you like and sew the string ties onto the inner seam of the stocking with a zig zag stitch. 9)And then cut the string to the desired length and put em up! To decorate them I was thinking that I could pin ornaments, baby socks or lonely mittens to them in the future with the little gold pins you get from everything or just leave them as is.